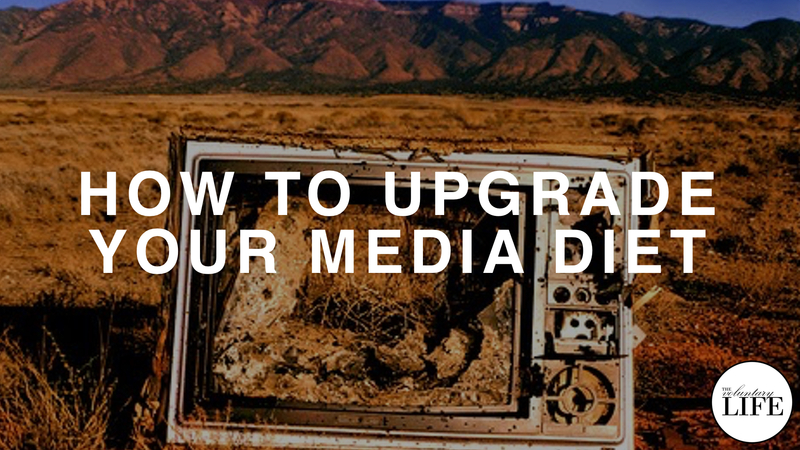 I got rid of my TV (and radio and newspapers too). I did this because vegging out in from of the TV was an addictive path of least resistance for media consumption. I didn't want my choice of what to watch to be limited to what TV channels would broadcast. I actively collect things to watch later from the internet, from streaming services and social media. Everything goes into my media queue. This is very easy to do with capture tools like pocket, instapaper, WatchLater app and Evernote. I also collect things to listen to later and read later in the same way. I tag everything in my media queue with my own tags, so that I know why I have collected each media item. These tags allow me to organise my media queue by projects I am doing, topics I am interesed in, or just different moods I am in. When I want to watch something, I look at my tag lists and make a conscious decision about what to watch. Having a media queue helps me be more discerning about what media I consume. I end up deleting many of the videos before watching them because they don't seem interesting after all. I highly recommend trying life without a TV.